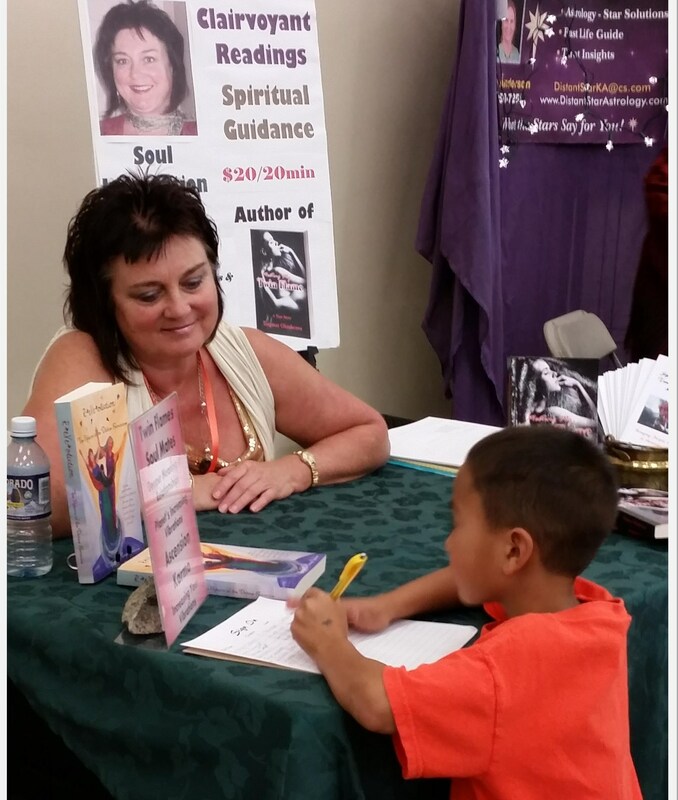 It’s so interesting, young kids sometimes are spiritually drawn to me when I do readings. At a recent fair a 10 year old boy came to me. His mother paid for his reading. I asked him, “So, how can I help you?” He confided in me, “I’m afraid to die.” At first, I was taken aback by what he said. I asked, “What do you mean?” “You know, I just don’t want to die”, he replied. Upon checking in with spirit I got the sense that he had died young in his prior life. In fact, he was about the same age as now. Thus his current age was the trigger for his unresolved death causing his fear. I took both his hands into mine, closed my eyes and engaged in a process of healing with him in spirit. I saw the time of his death in his prior life. A car ran into him as he was riding his bicycle. As I called in the proper healing energy, I suddenly felt his quivering stop. I now felt his calmness. I opened my eyes and asked him, “Are you feeling better?” “Yes”, he replied. I once again closed my eyes and completed the healing process. Then I opened my eyes and asked him, “So, how is your fear of dying? Still afraid?” He replied, “No. I never was afraid.” I was once again taken aback. “Well, what about your issue of not wanting to die?”, I asked. He replied, “I don’t have an issue. Never was an issue.” I suddenly realized, his unresolved death was healed. Not only was he not afraid anymore, he couldn’t even remember that he once was. I smiled and wished him well.